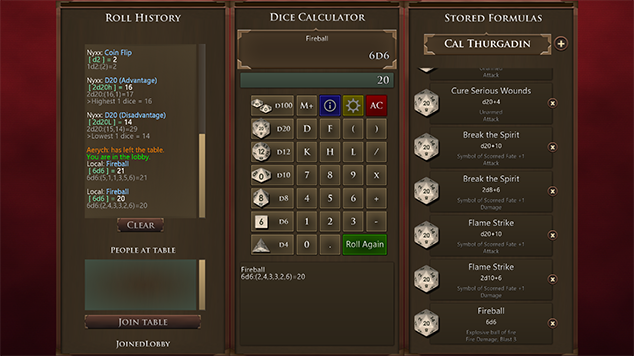 Dice Calculator is an invaluable assistant at the gaming table when you don't want to carry around a lot of dice, or lookup every roll for your character. Basic algebraic formulas can be entered using standard dice notation (i.e. 4d6+2) and the calculator will roll the random results. Additionally, you can save and name your formulas, and even group them in different profiles to support multiple games or characters! Great for games like Pathfinder and Dungeons and Dragons, or other fantastic role-playing games. With multiple profiles, it's easy to stay organized!